On Monday, the U.S. Department of the Interior’s Bureau of Ocean Energy Management (BOEM) signed a new memorandum of understanding (MOU) with The Netherlands in support of offshore wind. BOEM’s acting director, Walter Cruickshank, and The Netherlands’ consul general, Dolph Hogewoning – on behalf of the Ministry of Foreign Affairs/Foreign Trade and Development Cooperation of the Kingdom of The Netherlands – signed the MOU to further strengthen bilateral cooperation on offshore wind. Recognizing the important role offshore wind plays in both jurisdictions, the MOU reinforces each country’s commitment to share information, experiences and best practices. The signing ceremony took place at the Consulate General of the Kingdom of The Netherlands in New York City. BOEM also hosted a meeting of the Global Offshore Wind Regulators Forum in New York City, bringing together regulators from both experienced and emerging markets to share regulatory and policy issues on offshore wind. The group discussed topics including offshore wind planning, leasing and oversight. The forum intends to meet annually, with the next gathering taking place in Denmark in 2020. 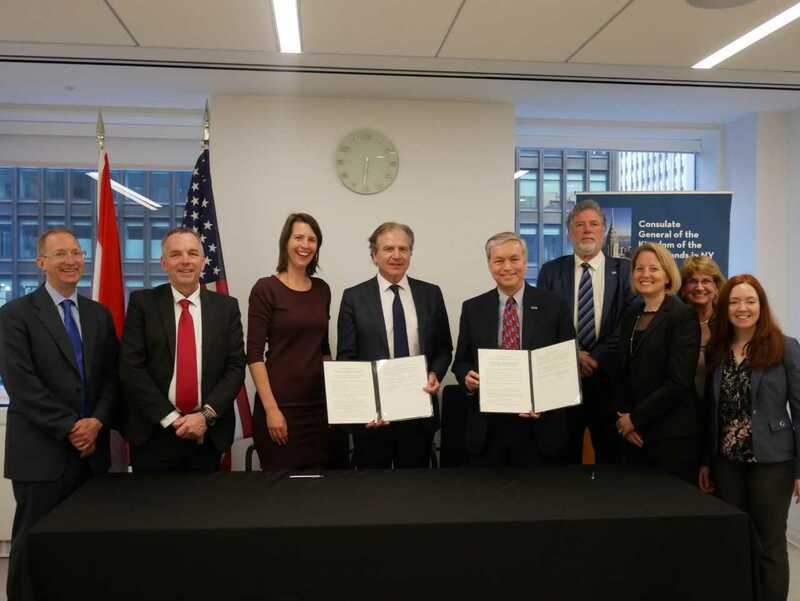 “Our thanks to BOEM and The Netherlands for signing an MOU to signal their shared commitment to the offshore wind industry and agreeing to share best practices and information to advance the industry in both countries,” comments Liz Burdock, president and CEO of the Business Network for Offshore Wind, which also hosted its International Partnering Forum in New York this week. “We look forward to witnessing the output from this historic partnership between BOEM and The Netherlands and hope to see more agreements across national boundaries in the future,” she adds. See also The Netherlands and US Sign Offshore Wind Agreement (OffshoreWind.biz) . . .